Get your signal to the board without tone loss. Created specifically for acoustic musicians, the LR Baggs Align Series integrates studio processing tools, a high-fidelity preamplifier with foundational tone-shaping EQ, the company's proprietary acoustic reverb, and the most pristine, all-discrete active DI. This highly versatile pedal series expands your tonal palette with a vast range of control that’s uniquely tailored to complement and enrich the voice of your acoustic instruments. 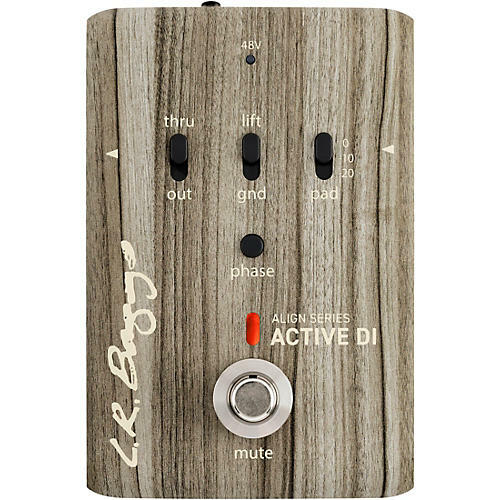 Building upon decades of experience creating studio-quality gear for the stage, the Align Active DI is the embodiment of LR Baggs engineering at its highest level and uses the most pristine circuitry the designers have developed in a DI. LR Baggs' all-discrete design preserves the authenticity of your sound while providing high headroom for a wide range of signals.